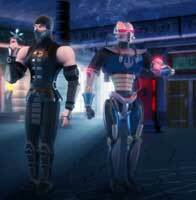 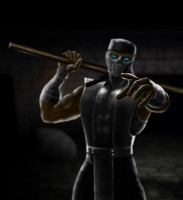 Noob Saibot, the dark ninja returned basically in Mortal Kombat 3 already ..as a completely black version of Kano with no own moves just like it was in MK II before. In Ultimate Mortal Kombat 3, when the Ninjas returned, the Midway Games Team first planned to make him a fully playable character in the arcade version too but things changed and so he was for the first time playable in the home versions of UMK3 and Mortal Kombat Trilogy. 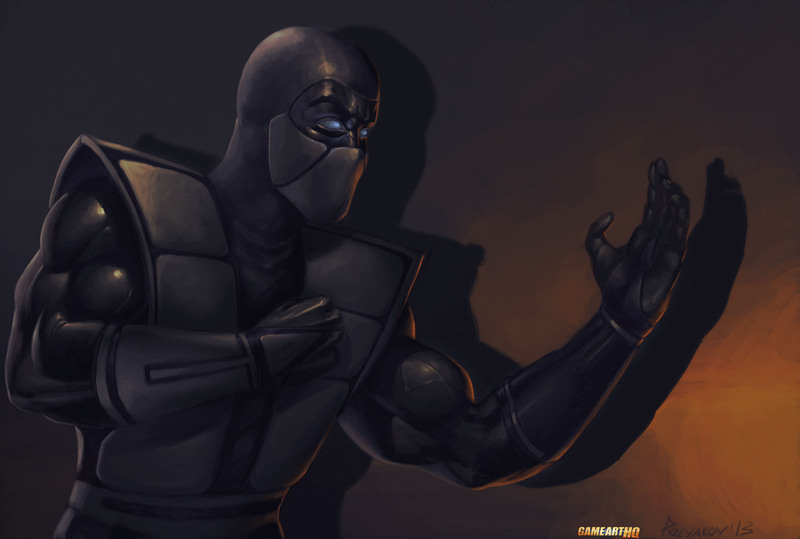 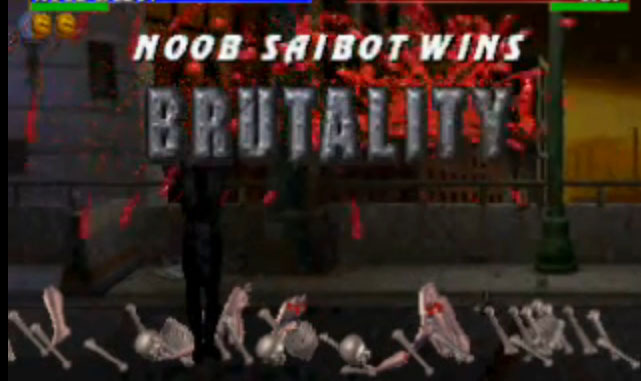 Noob Saibot got his own bio and an ending and more important he got completely own moves which were partially quite unique as well. 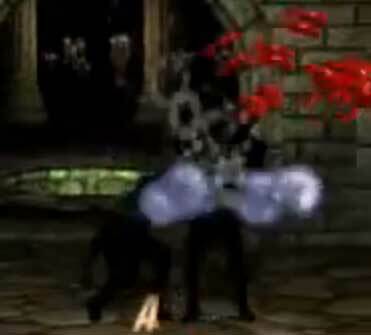 He was able to shoot a projectile which would make his opponent harmless for a second, got a Teleport Slam and the Shadow Toss as well. 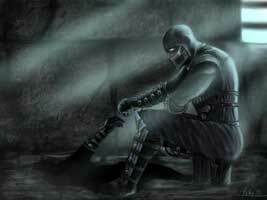 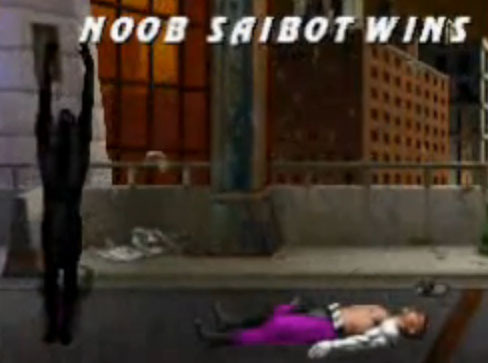 According to his bio, Noob Saibot comes from the Netherrealm and worships a mysterious fallen Elder God there. 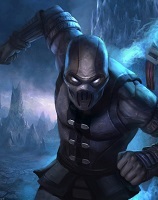 Years later this character was revealed to be Shinnok.